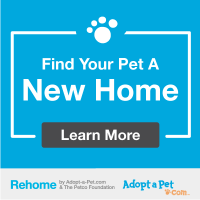 We are an open-door shelter and annually accept approximately 2,500 stray, neglected or surrendered animals from Lenoir County, North Carolina. We do not limit this intake based on health, temperament or age. This means that at any given time we have an in-shelter/in-foster dog population of 40 to 60 dogs and a combination in-shelter/in-foster cat population of 50-75 cats. Each of these animals is treated with respect, kindness and compassion throughout their stay with us. The health of an animal is determined by both its physical and mental state, and therefore we subscribe to the philosophy that good animal welfare involves both physical fitness and a sense of well-being. Companion animals depend on us for their care, and it is our responsibility as intelligent, compassionate human beings to prevent unnecessary suffering for the creatures in our society which cannot care for themselves. We believe in the Five Freedoms, created by the UK Farm Animal Welfare Council and adopted by reputable animal welfare organizations world-wide.